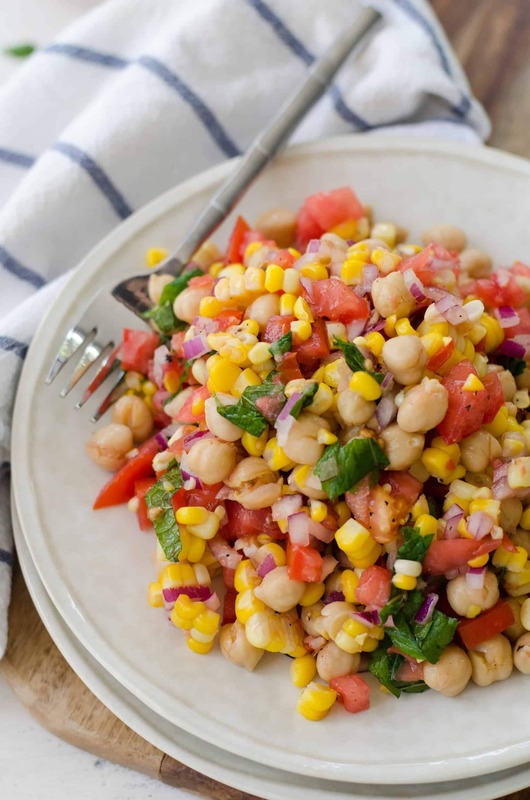 Corn, Tomato and Mint Salad! This gluten-free, vegan side dish is perfect for summer! 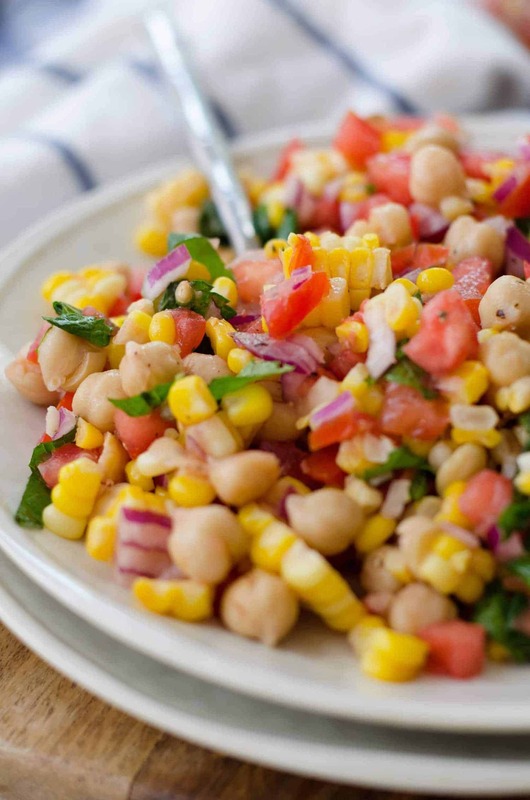 Juicy tomatoes, fresh corn, onion, chickpeas and a lemon mint dressing. High-fiber and full of protein. Back to reality. I think one of the signs of getting older is that I don’t bounce back in the same way that I used to. I vaguely remember a time when I would move at the speed of light, bookending one activity with the next, with just enough time for work, meals and sleep in between. Fast forward a decade and it takes me a good day plus to feel normal again after a whirlwind vacation. After spending the past week in the OBX and Richmond, I arrived home on Friday afternoon groggy, exhausted and whiped out. So, I listened to my body and took the rest of the day off to lounge on the couch, order Indian take-out (❤︎) and just be. I think sometimes we are so busy doing that we forget how much we need to nourish down-time. Well, at least that’s true for me. Though it took a bit to turn off the anxiety of emails, my growing to-do list, and projects I needed to prep, I knew that I was better off taking a little more me-time than jumping into something not fully present. In my post-vacation coma, I ended up turning to my favorite lazy-treat, Netflix. After scrolling for a bit, I finally landed on a new documentary that I had heard some buzz about a few weeks ago, The True Cost, about the impacts of fast fashion. Wow. Oh wow. You’ve gotta watch it. Friends, I’ve watched it twice now since Friday (once alone, once with BL yesterday), and I can’t get the images out of my mind. Even though I wasn’t ignorant to the dangers of fast-fashion, I don’t think I truly grasped the full-concept of the world-wide consequences. I highly recommend this documentary as it’s not only informative, but it’s really well-produced. If you’ve seen it, I’d love to know your thoughts. I think there are so many parallels between the world of fast-fashion and Big-Ag and I feel really compelled to be more conscious with my consumerism. Just as I believe we vote with our forks, we vote with our wallets as well. I think after viewing hard-hitting documentaries, it’s easy to feel overwhelmed. There is so much injustice in the world, I know I sometimes feel lost in trying to make my way through what I think is right. But, I feel really good knowing that there are so many alternatives out there to typical fast-fashion. I spent hours yesterday googling sustainable and fair-trade brands and I’m happy to report that there is something for everyone. Do you have any that you love? Oh, yeah- this salad! The reason you are here in the first place. Well, what can I say? It’s summer in a bowl. It’s a riff on one of my favorite salads, tomatoes, salt/pepper and lots of torn basil. My mom makes that tomato dish at least weekly in the summer, but I wanted to add a bit more nutrition to it. So, I added another summer staple- fresh corn on the cob. If your corn is sweet enough, you don’t even have to cook it! I call for barely cooking it so the kernels still have some of that raw taste. My midwestern hubby’s taste buds have certainly rubbed off on me. And chickpeas. Because, I love them. And, of course, they are a good source of protein and fiber, something I am definitely lacking after our week-long vacation. (Sadly, pina-colada’s do not contain much fiber). Then, some mint for good measure. This was mostly out of necessity as my little basil plant isn’t doing so hot, but my mint is prolific. Since mint is usually an afterthought herb, I was a bit nervous on how it was going to taste. Surprise! I loved it. Mint and corn and tomatoes go together perfectly! How come basil gets all the love this season? Mint is where it’s at. Little dressing, toss together and you are good to go! Hearty enough to be a lunch salad, pretty enough to work as a side. Either way, this is one summer salad that I hope you will eat over and over again this year. 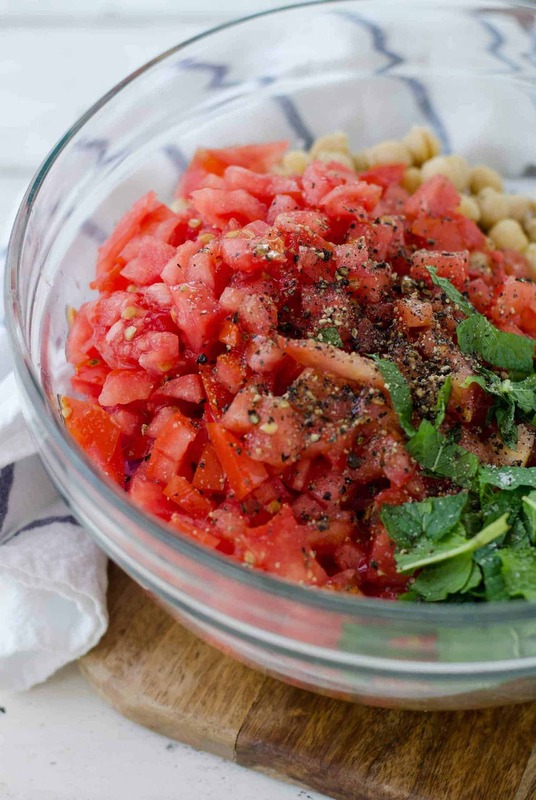 Corn, Tomato and Mint Salad! This gluten-free, vegan side dish is perfect for summer! 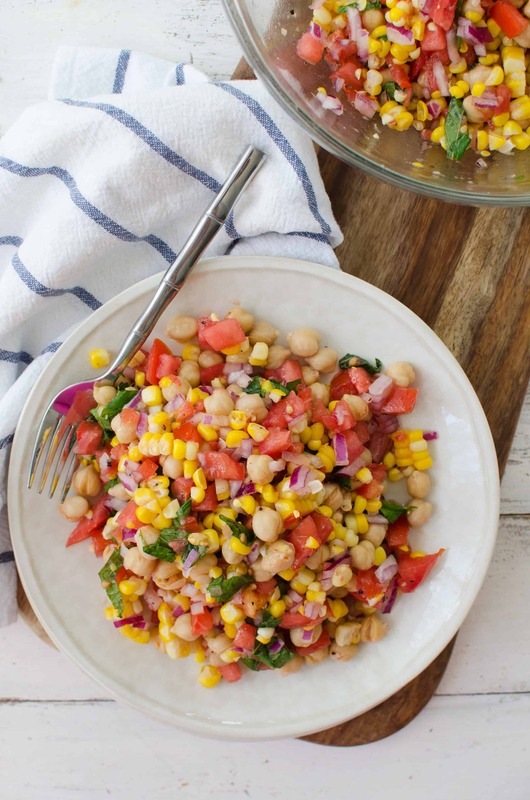 Juicy tomatoes, fresh corn, onion, chickpeas and a lemon mint dressing. 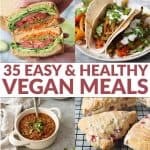 High-fiber and full of protein! Bring a large pot of water to a boil. Add the corn and cook for 4 minutes. If you are using fresh, sweet corn, you want the corn to just be cooked. Remove and let cool slightly, then cut the kernels off and place in a bowl. Toss with chickpeas, tomatoes, onion, lemon juice, minced garlic cloves and olive oil and large pinch of salt and freshly ground pepper. Mix together and let sit for 10 minutes. Just before serving, toss with mint. Chickpeas in salads are the best! 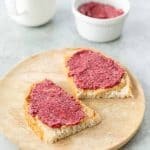 They add texture as well as fiber. O delicious! I LOVE the fresh mint! This is one of my favorite combos Alex! And it’s just so beautiful. Lovely post!